This is a pivotal year in the awakening process. Many will be called to step away from the old earth 3D matrix completely. This webinar will assist you in leaving the old 3D Matrix, completely releasing from it. Release from the old year, the old agreements, cords, anything that hold us back so we can step fully into the New Alpha Earth Timeline thru 2019 and beyond. We will explore manifesting and the 5D grids and why it is important to create from this space. Also why our dreams should reflect our highest light (Higher Self) and not our basest nature (lower ego desires). Why manifesting is an important aspect of the growth/evolution process. Why it is important to focus on realistic as well as so called ‘impossible’ dreams. Discussion on dreaming from three points in the body. Looking at the nature of our familiarity zones and how resistance operates in the psyche. How raising our vibration is the most important thing to focus on. How to keep our vibration high. How we must vibrate at the same frequency as our dreams. 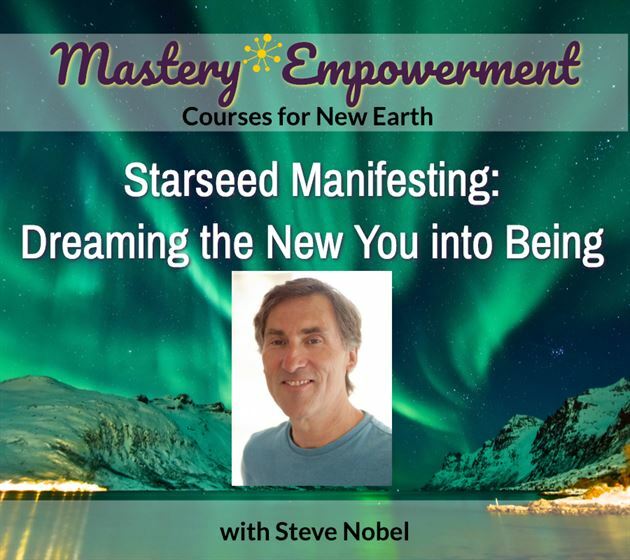 How our dreams and projects are living energy fields. How we can call for help from angels, guides and higher self. Steve Ahnael Nobel is an author (of five non-fiction books), a spiritual coach and founder of the Soul Matrix Healing system. He was a director of the not for profit organization called Alternatives, based in St. James’s Church, Piccadilly, London that hosted many world-renowned spiritual authors and teachers from around the world. He did this for 13 years (Jan 2000- Dec 2012). He resigned when he was going through a big spiritual transition/awakening which began in 2010 and only completed 5 years later. This was a dark night of the soul triggered by a Kundalini experience. In 2016 he began his new mission of awakening Starseeds across the planet.